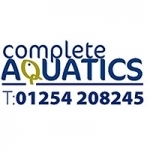 Description: Complete Aquatics are online retailers who specialise in selling anything related to fish-keeping. The range of products available to buy online includes tropical and freshwater aquariums and cabinets, aquarium pumps and heaters, filters, lighting and decorations. Meta Keywords: uy online includes tropical and freshwater aquariums and cabinets, aquarium pumps and heaters, filters, lighting and decorations. Meta Description: uy online includes tropical and freshwater aquariums and cabinets, aquarium pumps and heaters, filters, lighting and decorations.